Spring’s here. The perfect time to come out into the bright, pleasant day and enjoy a sport. If you are a parent, teacher or a coach, who’s trying to initiate little kids into youth sports, this is the perfect time. Bring them out from the classrooms or houses and make them play these sports that are most popular during spring. 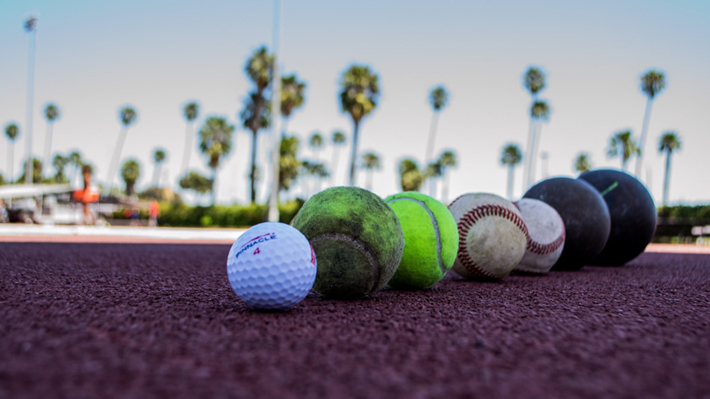 Baseball/Softball – Since baseball and softball are so popular with American kids, it would be a great idea to get kids initiated with these sports. Or you could start training kids with tee ball and let them get familiarized with the rules, work on the co-ordination and balance. Football – This might not be amongst the preferred career sport for American kids, but it certainly is a great game for kids who love to be on their feet. A friendly football game can also be a great team activity for the class. Treasure hunting – Define a small area, in a park or a natural setting, ensure its child safe, and let kids run hunting for clues. A great exercise for mind and body both. Fun sports – Organize fun races like the three-legged race or sack-race or egg-and-spoon race. Kids will have fun and will also learn that outdoors can be more engaging and interesting than being glued to the screen indoors. Swimming – Think summer’s a great time for being by the pool? Try spring splish-splash. You’ll be pleasantly surprised. Trekking – Since the winter chill is gone and the sun’s not all that hot, trekking would be a great way to bring kids close to nature. Tennis – Although this would not be for pre-schoolers, tennis can be a great game for elementary school kids. Tennis teaches agility and precision. Golf – What’s better than a beautiful day spent golfing in the open greens. Kids will love the experience and could be a good start to a great hobby or career. Before you actually enroll your kid into a youth sports program, you can get your kid initiated at the YMCA if you already have a membership. You can also enquire about YMCA corporate memberships. There are social media guidelines for students. There should be a similar protocol for parents who use the social media platform for voicing their grievances against the coach or school. Parent’s post negative reviews, criticism and reckless comments that go viral. Not that parents shouldn’t criticize. Parents are actually the PAYERS and it’s just natural that they be the beneficiaries of the service, even if it’s through their kids. But there are grave repercussions with this kind of disposition. Coaches lose jobs, athletic clubs lose reputation, teams lose morale. Criticism is important, but there’s a way to do it. These are delicate matters, our kids’ future depends on them, and we need to handle it rather sensitively. Here are a few guidelines for parents to follow on social media with regards to posts regarding the child and her coaches and teachers. If you have a concern, arrange a meeting with the coach and speak your mind. If you still feel the coach hasn’t really addressed your concern, it would be a good idea to escalate the matter to the athletic director. Do not react immediately online. Wait for at least 24 hours after the trigger or occurrence of the incidence before you write your post on social media. Get the purpose of the post clear. Do you wish the higher authorities to take notice? In that case, is there another way that can draw their attention? Do you wish to humiliate the coach? In this case, a social media post would not be that great an idea. For all you know, your child might be more embarrassed than the coach, and that is not your intent. Do you wish to inform other parents? In this case, consider if it would be a better idea to meet up with other parents, discuss and find a way to handle the situation. Mind your language on social media. Loose language on social media can go viral for wrong reasons drawing negative attention towards your child. Follow the escalation matrix even online. Talk about the merits of your team, refrain from negative commenting even if it is for the rival team. Especially refrain from personal or negative comments on a child. If you are a sports parent and a big chunk of your time gets spent on the stands while your kid is practicing the game, here’s how you can creatively use that time and get some exercise. Keep your running shoes in your car. That way whenever there’s scope of exercise, you won’t be struck because of shoes. If your kid’s practice is taking place in a sports complex, you can run or walk around the ground or on the tracks. Make sure your child knows where you are. If there’s no track, look for stairs. You could do steps to get your heart pumping a little. Or you could also do some sprints up and down. If you are in the stands, look for some support to help you do some pushups. You could also keep a jump rope handy in your car. Jumping or running on the rope is good cardio. Get a basket ball, and try dribbling from one corner to another. That would be good cardio too. If you are tired of the running around, sit at one place and try breathing exercises. Those can be very relaxing for the body and the mind. Try yoga. Light yoga that includes stretching postures can actually relieve muscular tension and soothe pain. Blame it on retail culture, modern society, movies, peer pressure or anything else, our children have developed a very shallow gauge for social acceptance and self-acceptance, we judge people on the way they look. A slim and slender body, a beautiful face, shiny lustrous hair, have all become the criterion that would make you popular, help them win friends an so on. For children, this problem avalanches to a much bigger level, because if they are not comfortable with their bodies, they loose confidence in everything they do, be it studies, sports or an interest that they pursue. Here are a few practical tips for parents, teachers and coaches to help children learn to accept themselves as they are and develop confidence and high self esteem. Always remind children that ‘what they do’ is more important than ‘how they look’. Especially for young athletes it is very important to understand that their performance matters way more than their body shape or size. For young athletes, it is very important to keep fit and maintain a body weight that complements the type of game they play. But young athletes should be given suitable body-weight target keeping in mind their genetic body type. In many instances, overweight children are also able to perform very well. An athlete needs to be judged on her performance. Have active discussions about how good nutrition and adequate hydration can enhance performance and also help the body to be fit. Should you feel the child needs to loose weight, ensure you also help the child with healthy diet plan for weight loss. Do not allow the kid to crash diet. Similarly, for kids who need to gain weight, do not suggest or recommend supplements unless you’ve consulted the doctor. Different body types behave differently to certain chemicals. The chance is so not worth taking. Help children deal with changes that their bodies are going through. Different bodies will react to the growth hormone differently. Some bodies may show bulk in a certain part and others may be very lean while growing up only to get some bulk once they are past the growth stage. The important thing is that the child needs to be fit and active. There is so much of cleverly advertised junk food all around that it gets difficult to control kids. And the worst part being more the control, more its likely to repel back into compulsive eating. You can fix up days when your child is allowed to have food of her choice, no restrictions. But on other days the child must eat wholesome, nutritional food. Encourage the child to play outdoors, have some physical activity. Limit the amount of time the child spends in front of the screen. Playing outdoors with other children will ensure the kid gets proper physical, mental and emotional growth. Encourage the child to choose a role model who is more naturally developed than the one who has inferred in the course of natural development with surgical, medicinal or food supplements. Remember that our bodies are like gemstones: natural ones are not perfect but that is what makes them beautiful and so precious. 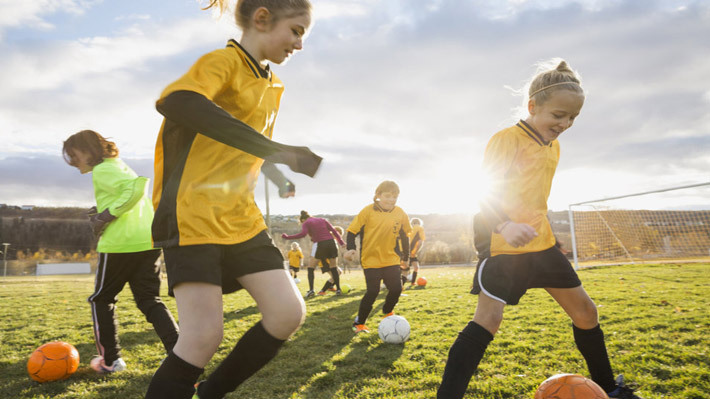 With over two hundred million American kids participating in youth sports and fitness activities every year, number of participants exposed to the risk of injury also increases. As a responsible parent, you would want to ensure that your child is covered with apt medical insurance in case of an unfortunate event, instead of passing on the blame as to who’s responsible for it. Here’s some basic information about youth sports insurance to help you decide which insurance would best suit your needs. If you and your family have a medical cover, most sports injuries are covered in the plan. There are no specific exclusions for sports per se. 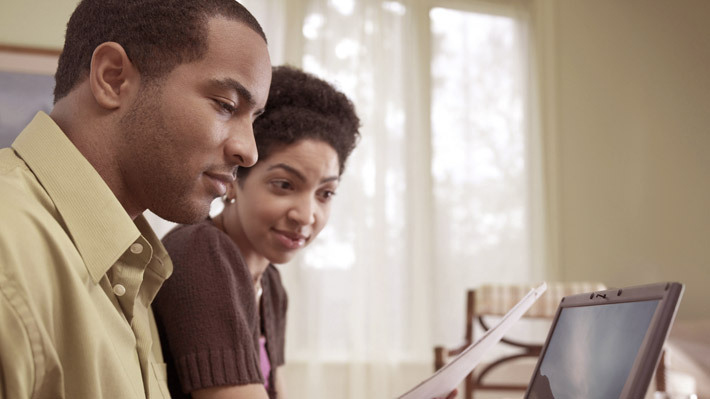 But just to be sure, you must read your insurance policy thoroughly or talk to your agent in detail to understand the extent to the coverage. Most existing plans cover sports physical as well, either as a deductible or through co-pay, depending on the type of plan you have. You must also check if your child is covered while travelling for tournaments or games. If the travel is inside of United States, your child is most likely covered. But, you need to ensure that your child is covered even for International games and tournaments. If your child is travelling, it is recommended that you take travel insurance. Although, there are some sports specific plans for insurance available. It’s recommended to check those plans as well to understand if a specific plan type would best suit the sport your child is playing. 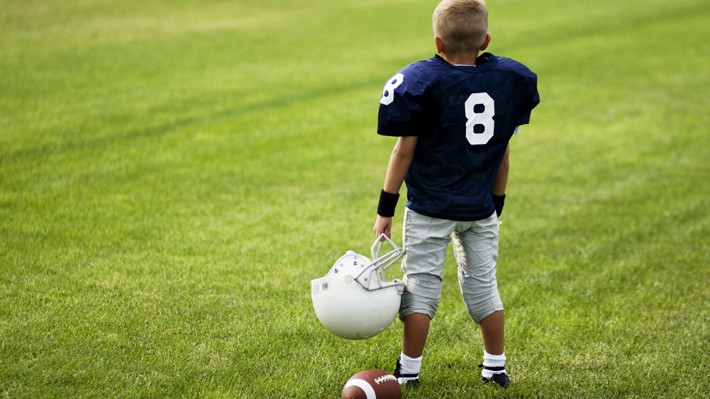 In many cases, the sports organization or school may have an insurance cover for sports kids. You must check with your child’s school and sports organization both. You must also check the procedure for emergency response in case of an unfortunate event. Keeping this information handy will help you save time and get her all the attention (medical and emotional) that your child need if she is injured. Insurance is not optional. 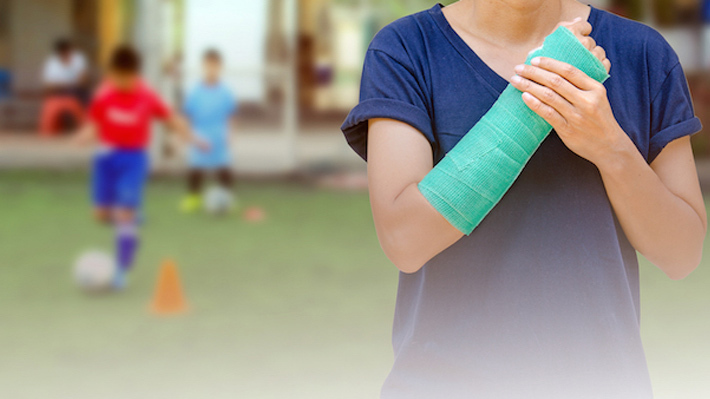 If your child is playing, she is exposed to the risk of injuries, hence you must have her covered. Understand the existing insurance cover, extent of that cover and if it insures the specific sport your child is playing. Youth Sports, the once boon of constructive engagement and character building activity for kids, has fallen prey to vested interests of all those involved. Parents are looking at college scholarship, coaches are looking at winning athletes which can further get them a large chunk of professional training fees and the school is looking at star performers. All this may not sound pretty standard to you, but think of the long-term repercussions this will have on your child’s life. What should the aim of youth sports ideally? Youth sports presents an excellent opportunity to groom the overall personality of the child. The child gets physical exercise, learns many essential life skills including team playing skills, emotional stability, self-discipline, healthy competitiveness, coping with pressure, working for achieving a goal, empathy and so much. Ideally a parent’s priority should be to ensure that the child is exposed to learning these skills. As long as the child is learning these skills, be assured that the child is getting prepared towards becoming an awesome person, and a good professional in whatever field she chooses, even if it’s not sports. A coach’s job is more than coach game skills. A coach needs to ensure each player is learning the essential life skills that sports denote. A coach needs to groom talent and ensure each player gets the right opportunity. Coach plays the most important role in youth sports and hence the responsibility is also tremendous. The school’s aim should be to ensure that kids are provided for, a good coach is there for the team, a good sports training program is there, and to see that each child reaches her full potential. Harsh reality is that everyone, the coach, the school, even the parents are bothered more about what they want rather than what the child wants. Everyone is busy coercing the child to play and win, because it solves the purpose of their vested interest in sports. the results are often severe. Either talented, deserving kids develop a strong disliking for sports or break in the sheer pressure. Many would argue that to reach a certain level in sports, one must go through rigorous training and follow a tough lifestyle, and it’s good if youth sports training initiates the kid into it. Point taken. But that does not warrant the fact that every child has to go through Olympian-style training. For all you know the child is not even into sports and is continuing just because of parents’ expectations or peer pressure. Playing for children should always mean fun. That’s how childhood is supposed to be. Next time you think youth sports, think of what your child wants, and not what you want.